My city Abadan was the city of hope. The city that it's citizen no matter where they grow up, or how many continents travel to, they always claimed their birth right and demanded to be called ABADANI. Yes I was born in Abadan. A city with diverse population from all over the nation. A city that the Christian Muslim Jews and Bahai kids could intermingle and play without a scent of prejudice. A city that you could touch the walls of a church and mosque in the same block. A city with so much love and respect for the elders. A city that only the warmth of its occupant heart surpassed its warm summer days. After my father left this world for the other, I was going through his photo album. My father Khaibar Tashnizi (Moradi) worked for the National Iranian Oil Company N.I.O.C. Under the direction of music teacher Mr. Alexander (Shoora) Michaelina. He also played trumpet in Abadan Club Band that was his joy. As I was looking at the old photos of his band, the memories of those days in Bashgah Abadan club took flesh and took me back to days gone by. The days that children with colorful clothes were running on the green lawn, their parents enjoin the out door theater and fragrant of flowers in the air gave you happiness. I thought to myself that it would be a shame not to share these old memories with the other Abadanis or Iranians. In the late 50's Mr. Alexander (Shoora) Michaelina a music teacher in conjecture with N.I.O.C decided to start a Music Class for its members and personnel. Soon after Abadan Band Club was born. The move was so revolutionary for it's time .It even captured the attention of Shah him self. I remember a meeting among the director of Abadan Club and Dr. Iqbal, the head of N.I.O.C. (I was 6 years old then and sitting there, after all my dad was in the band). He indicated that "His Majesty, Shah has heard about this Band and wanted to hear it in his up coming travel to Abadan". Three weeks later Shah came to Abadan for visit and he saw the Band. I was also among the fans that day. According to Dr. Iqbal, His Majesty was very surprised that there was such a Jazz band in Abadan! With Iranian musicians! Nowhere else in Iran was "Jazz" popular or even well known. 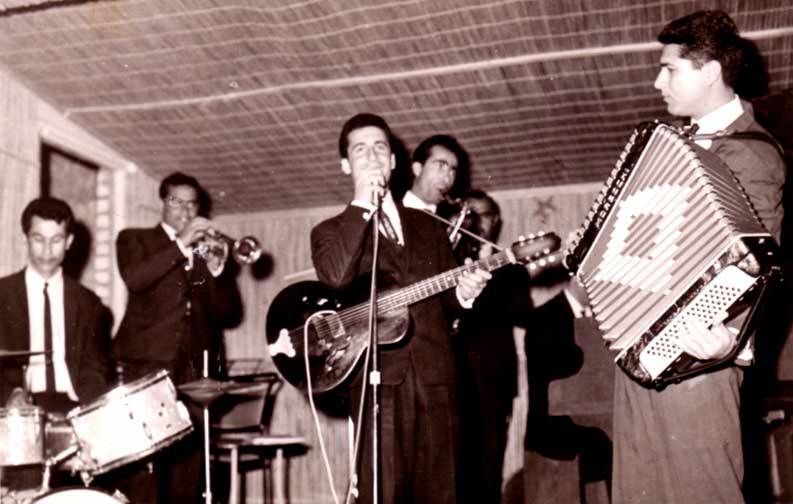 From then on the Abadan Club Band was performing in many cities such as Ahvaz, Gachsaran, Masjed Solayman, Kharg Island and Tehran etc... Here I have some photos from the era gone by which I hope you will like. If you happen to know anyone in photos, I would love to hear from you.